Digital court reporting companies claim that their technology is cutting edge and just as reliable as a stenographic record. We disagree, and apparently so does the Florida Supreme Court. 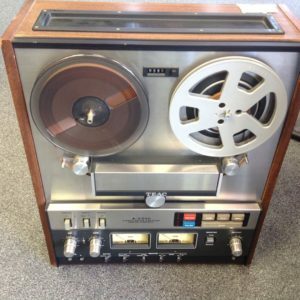 While the recording device that digital reporters utilize may be a little more up to date than the old reel-to-reels, creating a record solely from a recording is still unreliable and risky. When the recording fails or is inaudible, the proceedings are gone forever. If your case is important to you and your client, call us and rest assured that Migliore & Associates only relies on trained and experienced stenographic reporters that capture every word as it’s spoken in realtime at prices more competitive than promised by our digital competitors. Lisa Migliore Black, Migliore & Associates, Louisville Court Reporting and Video Services. Free conference rooms in the heart of downtown Louisville, KY 40202. All rights reserved. Why pay an additional layer of profit to a “national” court reporting firm for your local depositions? Is your transcript half full or half empty?